adidas Originals will be releasing two iterations of the adidas Ultra Boost ATR Mid Oreo colorway. The first pair we saw came with a White Boost and this one features a Black Boost. Constructed with a full Primeknit upper in a mix of Black and White, which even covers the Three Stripes on the sides. An all-Black heel counter, matching full-length Boost midsole and White Continental rubber outsole completes this design. 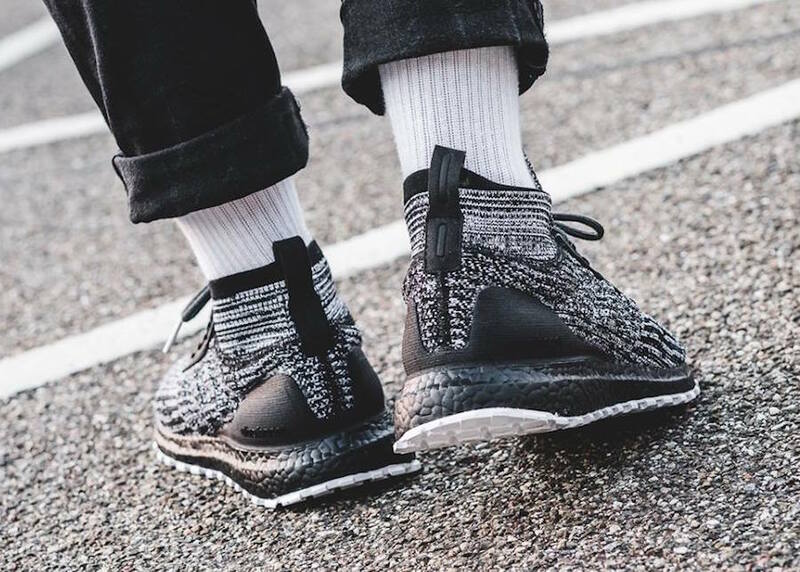 Look for the adidas Ultra Boost ATR Mid “Oreo” to release on October 24th at select adidas Originals retailers. The retail price tag is set at $240 USD. UPDATE: On-feet photos of the “Oreo” adidas Ultra Boost Mid ATR via Solebox.